Summer is on its way and most of us have lists full of home improvement ideas. While the cool spring temperatures start rising and giving way to the warmer summertime, we should consider adding home improvement tasks that also save energy. Here is a list of energy saving home improvements that, if you can make time, you’ll be glad you tackled. Cooling appliances – Your air conditioner and refrigerator are your two most crucial summer appliances. Be sure to clean their coils to maintain their effectiveness during Summer. Your refrigerator’s coils can be cleaned with a vacuum or rag. Clean your air conditioner’s coils (after removing the casing) with a power sprayer or brush. Thermostats – If you don’t already have one, consider purchasing a programmable thermostat. It is estimated by Energy Star that this handy device could save you as much as $150 a year in energy costs. And who couldn’t use another $150? Fiberglass insulation – Insulation does a great job keeping your house cool in summer but it also keeps your house warm in winter by not allowing warm air to escape. Having proper fiberglass insulation could reduce your heating and cooling costs by 20 percent. And the good news is that an entire roll of insulation costs only $15! Re-caulking doors and windows – Even if you have insulation, there still may be some tiny cracks in your window sashes and/or door frames, allowing warm air in and cold air out. It is always a good idea to inspect your windows and doors every summer and re-caulk as necessary. Weather stripping – Kitchens and bedrooms can be especially drafty, resulting to energy wastage of 30-40 percent of total loss in cooling and heating, according to Energy Star. Fortunately, weather stripping materials can be purchased for less than $10 at most home improvement stores, making this an easy and cheap fix! “Energy intensive” air conditioning alternatives – If you feel like turning off your energy guzzling air conditioner, you may consider opting for a ceiling fan as a greener alternative. Other options include geothermal heat pumps, passive architecture or even drenching your curtains and/or drapes. 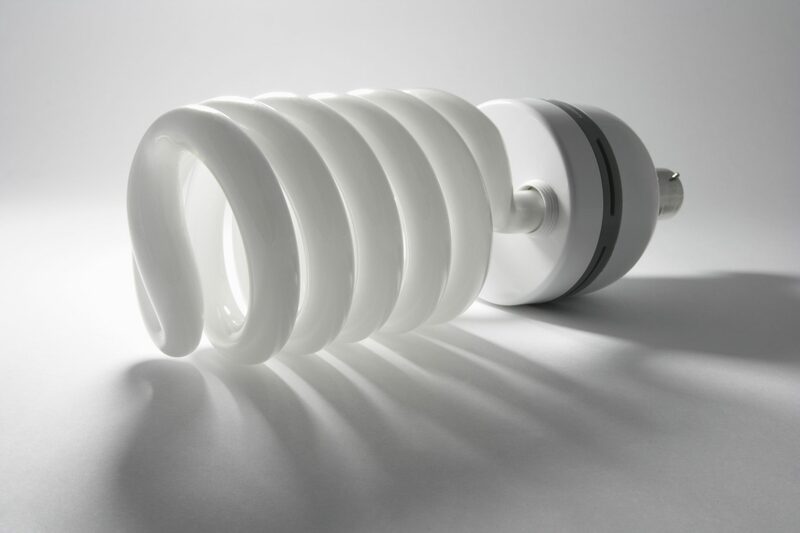 LED lighting – Although LEDs initially cost more, they can save you around $164 a year per lamp in energy costs. LEDs also have lower carbon emission, greater lifetime, focus-oriented illumination and shock resistance. So make the switch to LEDs now! Planting trees – Always a good idea for the environment of your entire home, trees can also significantly reduce the temperature of your home with their shade in the summer and allow warm sun in your home in the winter. Summer is coming! Let’s get motivated and save energy, all at the same time! Bearish View of Illinois Crops? 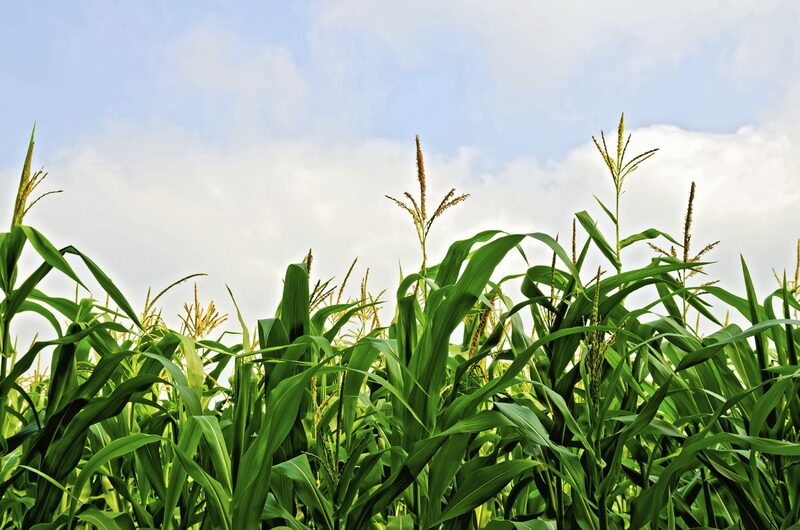 Although only its first assessment of crops for 2015-16, the U.S. Department of Agriculture (USDA) painted a generally bearish picture for the top three Illinois crops. Another big harvest this year, coupled with large beginning stocks, is being projected by the USDA to boost total U.S. supplies of beans, wheat and corn, all three of Illinois principal crops. Bean supplies are projected to rise 3.4 percent and wheat to rise 6 percent. Corn supplies, meanwhile, are estimated to reach a record 15.5 billion bushels. U.S. ending supplies of wheat could grow to a five-year high of 793 million bushels, or 84 million bushels over the previous year. Estimated ending stocks of beans could increase from 350 million bushels to 500 million bushels. These large ending stock projections are driven mostly by a bullish crop production forecast. For example, it is estimated that U.S. farmers will produce 13.63 billion bushels of corn and 3.85 billion bushels of beans in 2015-16. While both of these numbers are down from last season, they are still very healthy crop sizes. If these large harvest actually comes to pass, it is likely that crop prices will tail off. As of early this month, USDA estimated 2015-16 season average prices per bushel as follows: corn ($3.20 – $3.80), wheat ($4.50 – $5.50) and beans ($8.25-9.75). Almost all of the growing season is still in front of us, so a lot of variables are still in play and most farmers’ attentions are turning toward the weather and its impact on this year’s crops. Stay tuned and keep your fingers crossed! At Gateway FS Construction Services, we take pride in understanding our customers’ needs. And to ensure we meet our customers’ needs, we have been a long-term partner with Walters Buildings, allowing our customers to benefit from their more than 50 years of building experience. 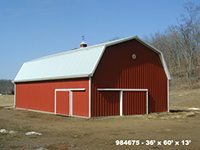 One of the many advantages of partnering with Walters is the large selection of versatile buildings that Walters offers. No matter what your need, our team at Gateway FS Construction Services, together with Walters Buildings professionals, can meet it. A wide variety of commercial and residential building options are also available, including church, club house, garage, office, retail shop, storage and more. In addition, Gateway FS Construction Services and Walters Buildings work together to make sure that all building decisions are made in an environmentally conscious manner. Many construction supplies are made from recycled materials and post-frame buildings are built to maximize overall energy efficiency. Whatever your building needs, you can count on Gateway FS Construction Services and Walters Buildings to have the variety and versatility of buildings you want. Give us a call at 866-551-3454 and let our specialists help design a building to meet your specific needs. We look forward to providing you the best building experience.